Margaret Laurence and Jack McClelland—one of Canada’s most beloved writers and one of Canada’s most significant publishers—enjoyed an unusual rapport. In this collection of annotated letters, readers gain rare insight into the private side of these literary icons. Their correspondence reveals a professional relationship that evolved into deep friendship over a period of enormous cultural change. Both were committed to the idea of Canadian writing; in a very real sense, their mutual and separate work helped bring "Canadian Literature" into being. 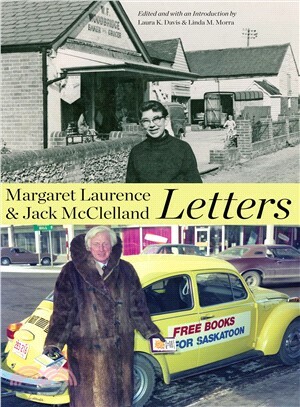 With its insider’s view of the book business from the late 1950s to the mid-1980s, Margaret Laurence and Jack McClelland, Letters presents a valuable piece of Canadian literary history curated and annotated by Davis and Morra. This is essential reading for Canadianists, scholars of publishing, and all those interested in Canada’s literary culture. Linda M. Morra is professor of Canadian literature and Canadian Studies at Bishop’s University in Sherbrooke, Quebec.